Every backyard should have at least one picnic table, something that can hold many memories. They are good for cookouts, reunions, birthday parties, and especially Southern Maryland Crab Parties! If you entertain outside, a Picnic Table is a must have! 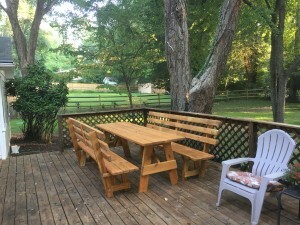 Bill’s Picnic tables is located in Waldorf, Md, but we offer delivery all over Southern Maryland, Northern Virginia, and Washington D.C. This includes St Mary’s, Charles, Calvert, Prince Georges, Anne Arundel counties. 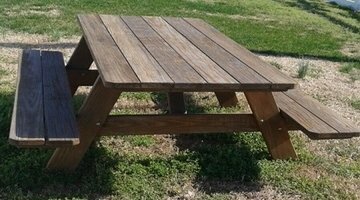 What does “Amish Built Style” Picnic Tables mean? Well frankly, Im not amish, but i wanted to keep myself busy using my woodworking skills that not many people except for the Amish Built stores are known for. 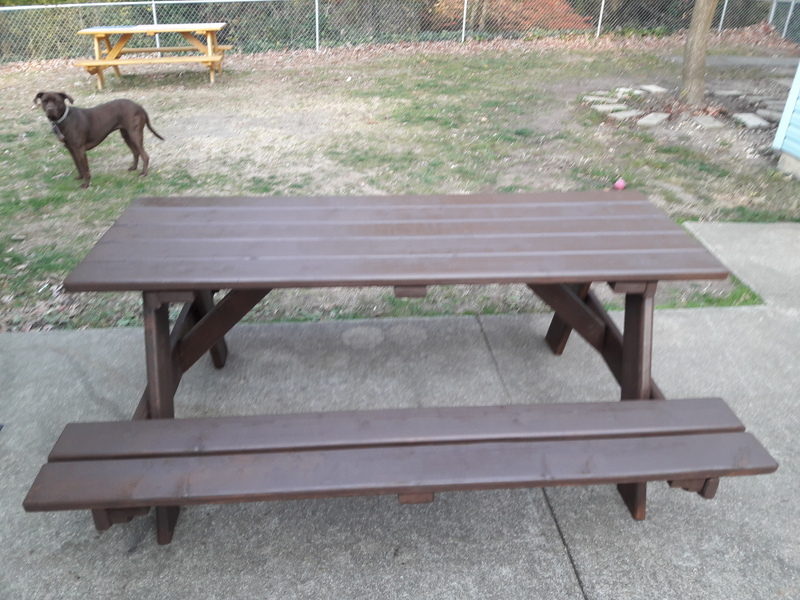 If you want a picnic table that is solid, made of quality lumber and comes with a 100% satisfaction guarantee, call Bill by clicking on the “call us” button on your cell phone. Every one of our picnic tables comes with a Lifetime Warranty. If anything that we did results in a table failure, we will cover it for the life of your purchase. That’s a quality promise! 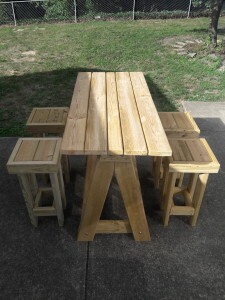 Bill can make you a picnic table and deliver it in any of the following cities in St Mary’s county, or you can save a couple bucks and pick it up yourself. We serve Mechanicsville, California, Hollywood, Leonardtown, Great Mills, Charlotte Hall and Lexington Park. Charles County is where we live. 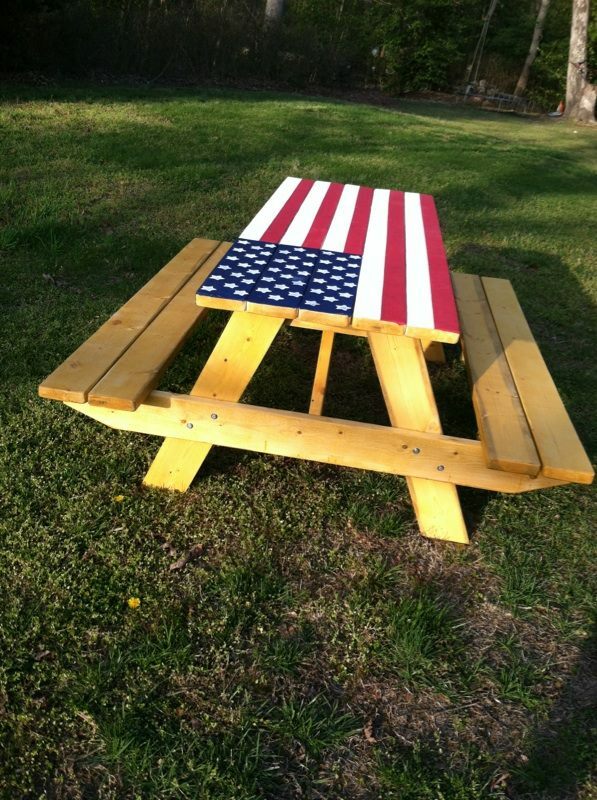 Let Bill build you a picnic table and deliver it to you. We serve all of our home area starting with Waldorf, La Plata, Indian Head and Fort Washington. Calvert county we’ve got you too. 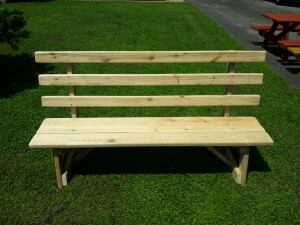 We would love for you to come to Waldorf and pick up your picnic table, but if you need delivery, we’ve got you covered. We can come to Chesapeake Beach, Solomons Island, Prince Frederick, North Beach, Huntingtown, and Dunkirk. Live in Washington D.C. or Northern Virginia? Sure. We’ll take care of you too. Just call us and we’ll workout a fair delivery charge or else come and pick her up. On the subject of wood, check out http://www.somdfellerstreeservice.com the complete opposite service as us. Taking down trees so that guys like me can build things from the raw materials.